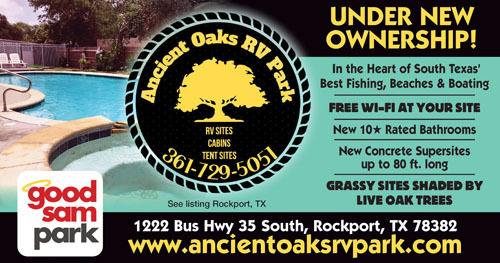 Enjoy beautiful grounds, a family friendly atmosphere, many amenities, as well as a convenient location to the Texas Coastal Bend area. Enjoy our fishing pond, local shops, and many fine restaurants. All rentals include cookware, utensils and cable TV. No smoking in any rentals. Old KOA that is rundown poor maintenance and management. There are a few nice concrete sites but good luck getting one, most are grass very narrow with little room between sites. Driveway has potholes, cable lines run above ground to sites it’s just sad. We booked this park based on the ratings and neglected to read the reviews. We are extremely disappointed in the appearance of the park. The picture on the web shows nice concrete parking. There are a few of these spaces but most are grass, not even gravel. The other RV's seem to be permanent and are run down and dirty. There are run down fish camp type doublewides. My biggest disappointment was in the fitness room. It is dark and dirty and the equipment is from the 1980's. There is only one up to date treadmill and it squeeks loudly. 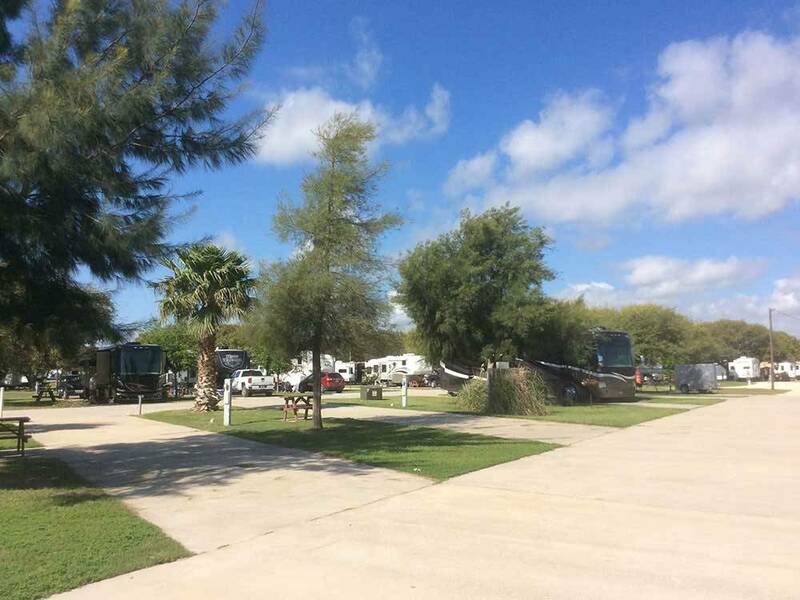 There are several nicer RV parks in the area. I recommend looking for one of those. There are about 1/4 of the sites which are really nice, the rest are small, lots of sand, sand-burrs and extremely over-rated, Main entrance is an old KOA which has seen very little renovation. We were extremely disappointed in this park. I could not recommend this park unless you are in the nice section.